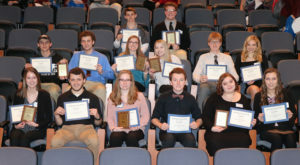 Gallatin County High School won the high overall award for the top scoring team at the SIC Business Skills Competition. 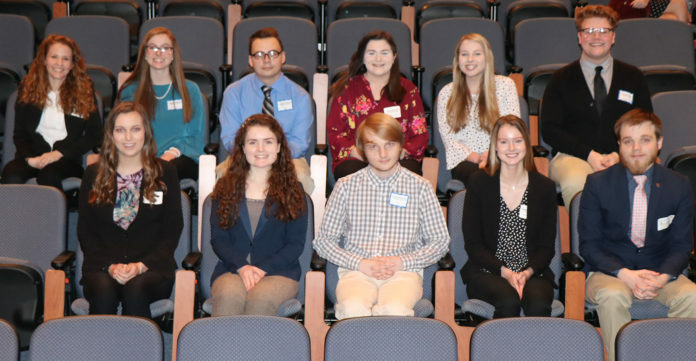 Pictured (not listed in order) are Chloe Dennison, Kiley Brown, Fallon Scates, Madison Raymer, Abbie Keasler, Kallie Keasler, Chris Tedford, Tyler Robinson, David Matthews, and Konner Gross. 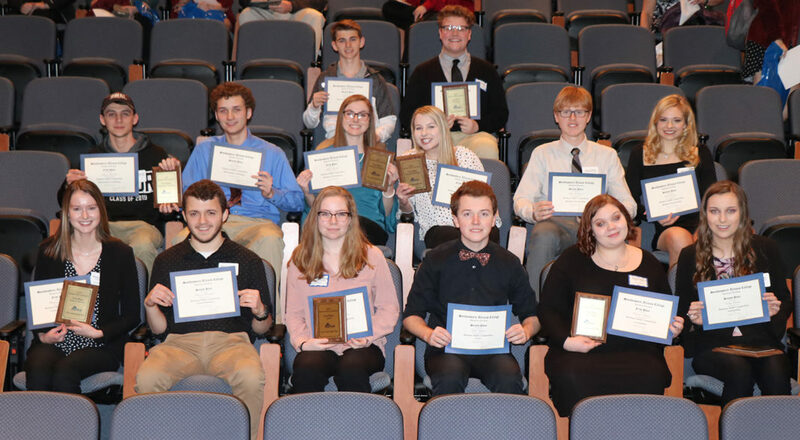 HARRISBURG, Ill. (March 20, 2019)— Gallatin County High School is the overall winner for the high school business skills competition at Southeastern Illinois College. 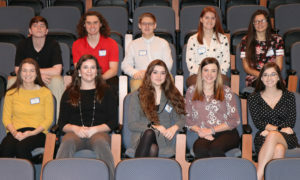 The event, held Feb. 28, included six categories for individual students to compete with their peers from other SIC district high schools. Those schools competing this year included Carmi-White County, Eldorado, Galatia, Gallatin County, Hardin County, Harrisburg, NCOE and Pope County. Several of the events in this competition involve an objective exam while others have a hands-on component. The top two scorers from each event are recognized at the awards ceremony. Each high school can enter up to two students per event and the top score from each event is used to calculate the overall winner. In the accounting category, the 100-question test covers such topics as balance sheets, income statements, journal entries, adjusting and closing entries, normal balances, receivable, inventory and cash. Students are not allowed to use calculators or cell phones during the test. 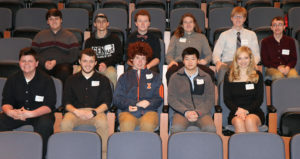 This section was only available to students who are enrolled in the first or second accounting course or have had at least one year of accounting. Kiley Brown of Gallatin County received second place, and Summer Adams of Hardin County took first. The general business category covers budgeting, careers, economic systems, small businesses, marketing, and other business information. This event is open to students enrolled in General Business, Introduction to Business or Consumer Economics classes. Mason Marshall of Carmi-White County received second place while Madison Raymer of Gallatin County took first. In the business presentation category, a two student team was given a topic and they were to use presentation software to deliver a six-minute presentation, and were required to wear business casual attire. This year’s topic was how to build your credit score for life’s future purchases. This category is judged by business professionals in the area. This year’s judges were Cameron Newbold with Edward Jones, Meghan Densch with Banterra Bank and Michael Stewart with Michael Stewart & Associates Financial Services. Kelsi Kessler and Alex O’Daniel of Carmi-White County were awarded second place while Abbie and Kallie Keasler of Gallatin County won first. Excel tests student knowledge on basic concepts in Excel, formatting workbook test and data, and calculating data with formulas and functions. The event includes an excel spreadsheet test and an exam involving multiple choice and true/false questions. Tyler Spence of Carmi-White County placed second and Jessica Armstrong of Hardin County took first. In information technology, participants must reassemble a computer, determine basic networking properties, and complete a test. Zeke Schutz of NCOE took second place while Logan Spruell of Carmi-White County won first place. Finally, the web design category required students to modify a web page working with HTML code as well as an exam. Tyler Lester of Eldorado took second place and Konner Gross of Gallatin County took first place. 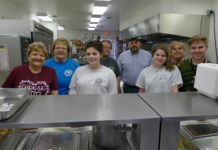 This year’s guest speakers were Christine Hankins and Tina Watson with Farmers State Bank. Hankins is the Vice President/Branch Manager for the retail departments for the Harrisburg and Marion Branches. She has over 12 years of banking experience on both the deposit and lending side of banking. Watson has been with Farmers State Bank for 22 years and has worked in the industry for 35 years. She is a commercial loan officer, but also does home mortgage loans and consumer loans. They spoke to the students about the importance of credit scores and getting on the right path with credit. Southeastern has traditional and online business degree programs. To learn more, contact an SIC recruiter at 618-252-5400, ext. 2325, or visit facebook.com/sicbusinessprogram or sic.edu/business. Pictured (not listed in order) are Tyler Spence, Mason Marshall, Kelsi Kessler, Alex O’Daniel, Logan Spruell, Tyler Lester, Kiley Brown, Madison Raymer, Abbie Keasler, Kallie Keasler, Konner Gross, Summer Adam, Jessica Armstrong, and Zeke Schutz. 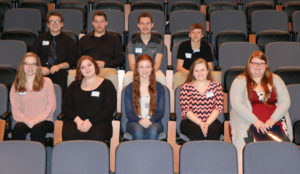 Carmi-White County High School participants in the Business Skills Competition at SIC are (not listed in order) William Ledford, Jason Lamp, Mason Marshall, Justin Weaver, Kelsi Kessler, Alex O’Daniel, Hannah Lueke, Tyler Spence, Logan Spruell, Payton Dale, Dillon Womack, and Troy Yang. 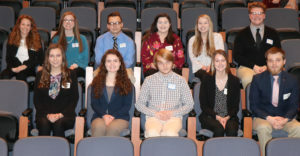 Eldorado High School participants in the Business Skills Competition at SIC are (not listed in order) Kiana Roberts, Makayla Borne, Faith Hooper, Cara Herron, Gretchen Owen, Ian Lloyd, Natalie Schimp, Paige Munds, Ellsa Young, Nathan Hill, Tyler Lester, and McKenzie Watters. 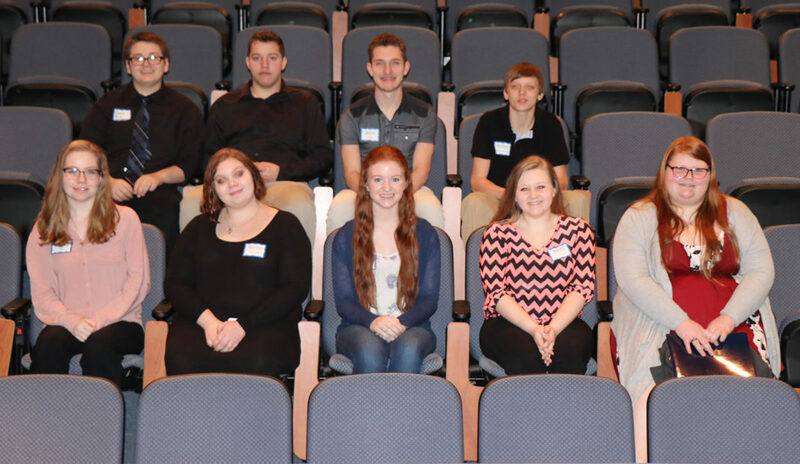 Hardin County High School participants in the Business Skills Competition at SIC are (not listed in order) Summer Adams, Dusty Williams, Caitlin Daymon, Johnny Bryan, Paul Dyson, Jessica Armstrong, Nyssa Mills, Nevon Hayes, and Makayla Clark. Pope County High School participants in the Business Skills Competition at SIC are (not listed in order) Matt Sherrod, Taylor Hall, Mia Anderson, Keerstin Fritch, Natalie Bonnell, Abby Clanton, Tayler Threet, Jordyn Swindford, Cameron Hill, Josh Arnold, Noah Hall, and Ryan Greenwood. 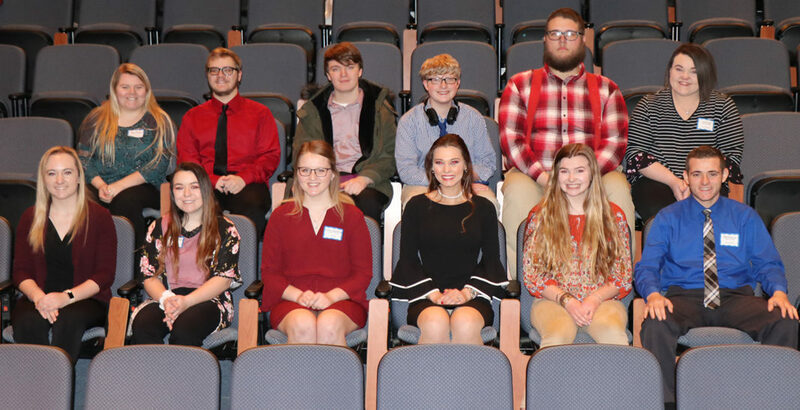 Galatia High School participants in the Business Skills Competition at SIC are (not listed in order) Kate Bond, Maddie Grubbs, Haven Weasel, McKenzie Newsome, Nick Triplett, Allie Stricklin, Anna Stricklin, Natalie Triplett, Sean McClusky, and Jordan Russell. 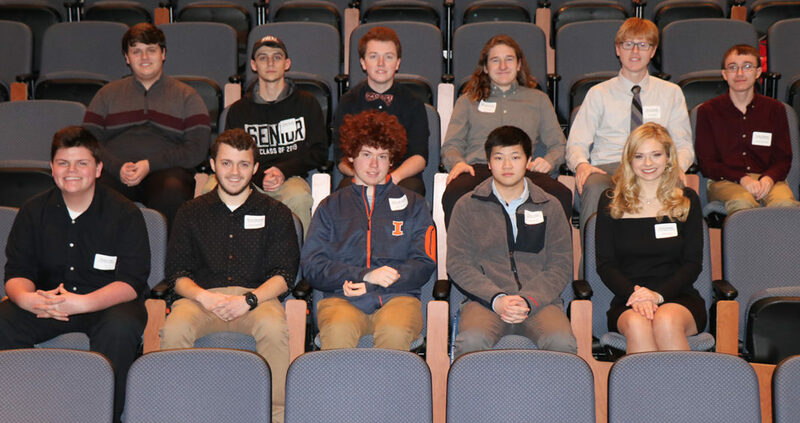 Harrisburg High School participants in the Business Skills Competition at SIC are (not listed in order) Madison Ladd, Grace Wang, Selina Wang, Rheis Wasson, and Jonah McGuire. 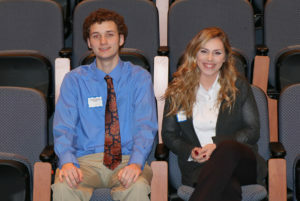 NCOE High School participants in the Business Skills Competition at SIC are Zeke Schutz and Baylee Sutton.